Hallo! So we've started a new game on Kookyrabbit! A Chinese New Year themed one since it's starting this weekend..hurrah! Happy Dumplings! 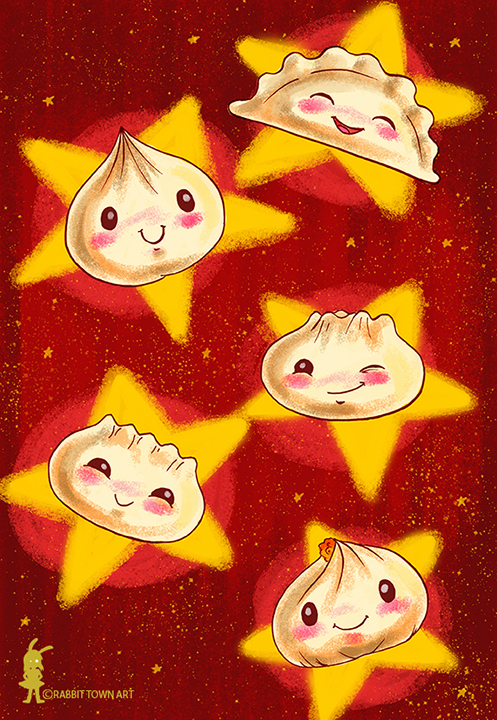 Who doesn't like happy dumplings! I submitted all my animations for Dogstar, starting a new animation gig next week on top of finishing and starting book jobs. This weekend is looking busy, especially tomorrow. Urban Sketching in Geelong...should be fun!